The only product proven safe and effective to remove radioactive iodine contamination from your home following RAI treatment. Bind-It™ is used by hospitals worldwide, for keeping nuclear medicine departments free of radioactive contamination. Bind-It™ Hand Soap is used routinely by technicians to ensure they remove all trace amounts of radioactivity from their skin. 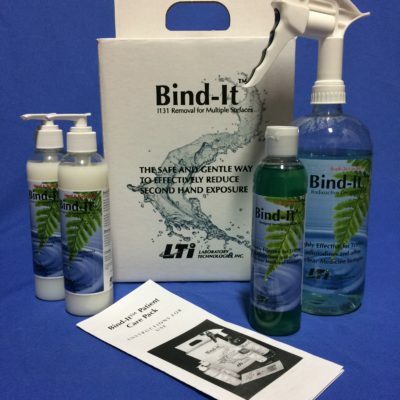 Bind-It™ is the most effective way to reduce the risk of second hand exposure to family and friends, by removing it at its source before it can spread. Your order is 100% guaranteed. You can rest assured that your your personal information is always safe and secure. Your hands will become contaminated as you perspire, use the washroom and touch already contaminated objects. You need to wash your hands frequently. The 8 ounce size will accommodate many hand washings over the course of your post treatment period. 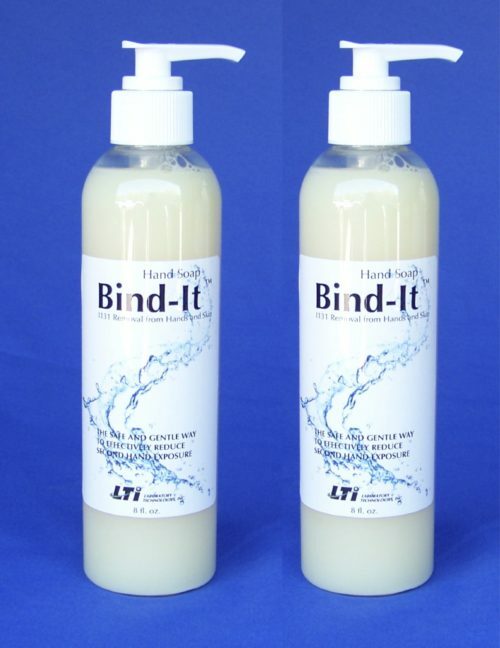 Further, Bind-It™ Hand Soap can also be used in the shower for additional safety. While the Patient Care Pack contains two 8 oz hand soaps, you may want more. Perhaps you have a 3rd bathroom, maybe you want to keep using Bind-It™ Hand Soap beyond the minimum isolation period. Whatever your reason you can purchase a two pack of 8 oz Bind-It™ Hand Soap. Bind-It™ Hand Soap is safe and gentle enough for routine use. 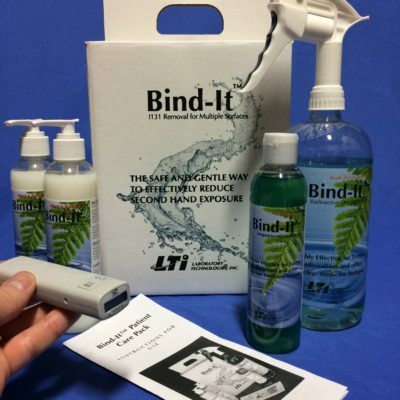 Are you looking to purchase Bind-It™ in greater quantities? Contact LTI directly at 800.542.1124 today.